One of the more significant tasks we are taking on during this trip is homeschooling our own little kindergartner. Ava is now 5-years old and will officially start kindergarten in the fall. We began researching different types of homeschooling programs when we decided to go back on the road and were really lucky to find a great program for newbies like us at Ventura Charter School. 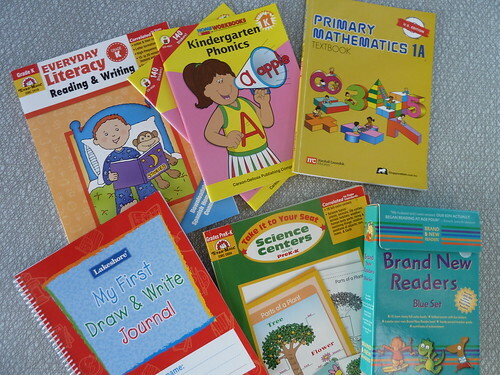 Ava’s first-ever set of official school books. 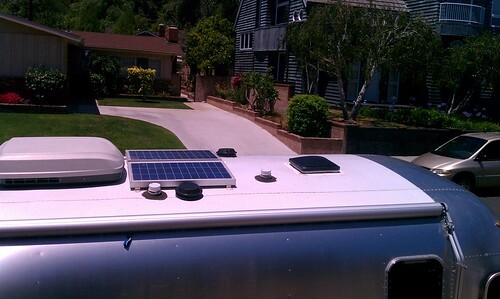 Getting your trailer ready for some serious boondocking usually calls for some type of replenish-able, off-grid power source like adding solar panels and a generator. 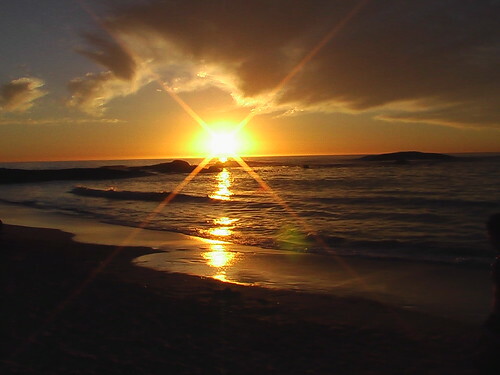 However, power generation is only 1 part of the formula when considering ways to build up your off-grid power. You will also need to consider ways to increase power storage capacity as well as items to help lower your consumption. The latter two are frequently ignored even though they can be more cost efficient. 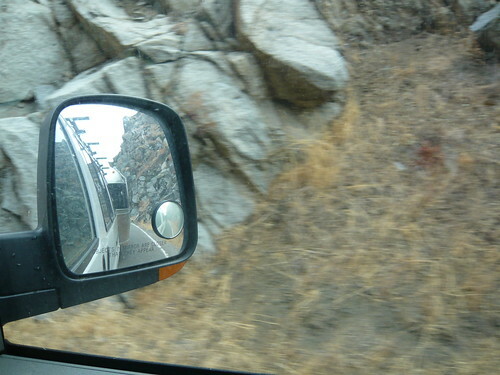 Backing our Airstream down a narrow driveway. We live in an older house built in the 1920s. Unlike today, people back then did not subscribe to the ‘bigger is better’ mantra that dominates today’s capitalistic society. So we live in a sub-1000 square foot home with a modest garage set in the rear of the property. 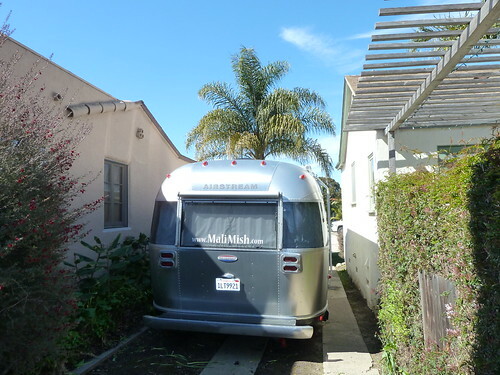 That gives us a long and narrow driveway to park our Airstream in. This photo shows how the driveway looks before the new fence and gate were installed. The old fence is on the right with the jasmine bush on it. On the opposite side is the property line with our neighbor’s side yard. How an Airstream is made. 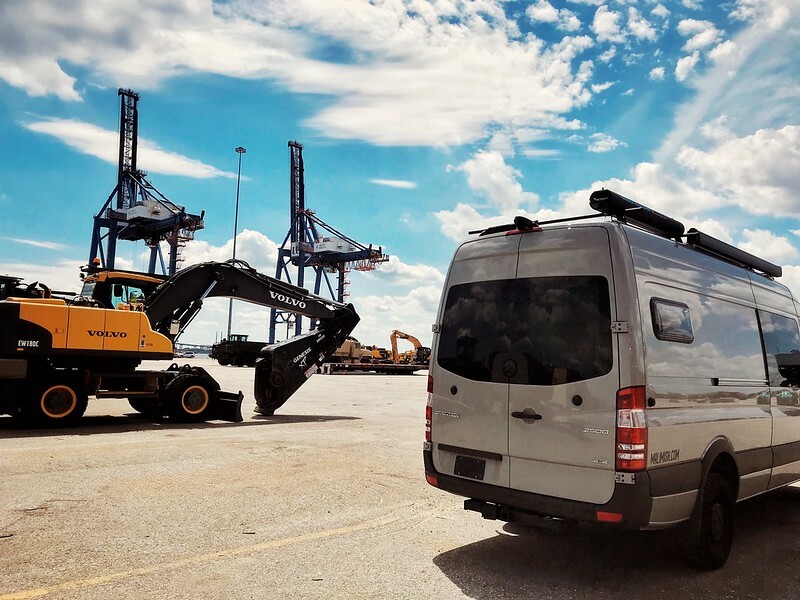 The Discovery Channel program ‘How It’s Made’ showed the making of an Airstream trailer. In most of the shots, they are building a 25 ft International Ocean Breeze just like the ol’ Mish! Check it out. 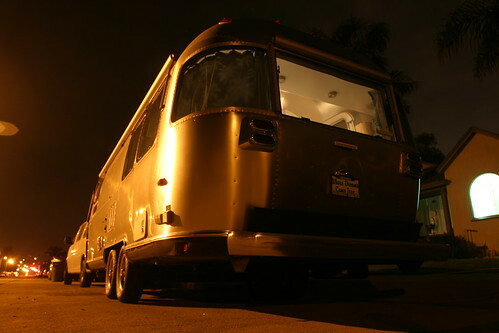 One day I will post a video of a complete walk-thru of our own silver bullet. The standard battery bank on the Airstream consists of two 12-volt group 24 batteries connected in parallel stored just in front of the trailer and behind the propane tanks. Group 24 batteries are designed to hold around 75 amp hours of power each. At a full charge, they store just enough juice for you to run all the lights in the Airstream for about 2 seconds. OK, maybe that is a slight exaggeration, but the power-hungry halogen bulbs Jackson Center, Ohio installed into our 25 foot International are not really designed with boondockers in mind. Bright and warm as they might be, they are very inefficient. Many people have swapped them out for expensive LED versions of these lights bought from Internet sources. The problem with this ‘upgrade’ is that in return of them running forever, you have to deal with these dim little blue lights that makes you feel like you are living in the International Space Station. 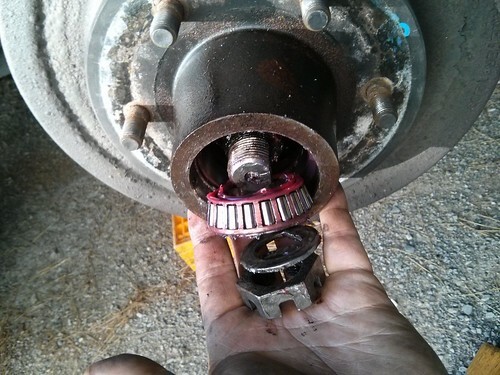 Towing a trailer for long distances presents a lot of potential hazards. As a driver of the tow vehicle, you have to be extremely attentive with your surroundings and diligent about the maintenance of the rig. Everything from the trailer hitch to the running lights have to work flawlessly for the rig and the occupants to be safe while traveling. After putting a few thousand miles on our trailer, I have developed a bit of a pre-travel checklist to make sure I am not forgetting anything. 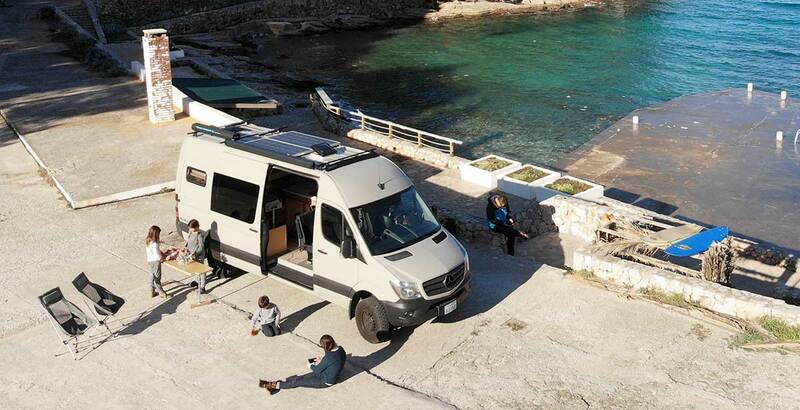 WiFi hot spots are one way for a road tripper to get online. But there are obvious limitations with it as discussed in a previous post as part of this ongoing RV Web series. One of the more widely available broadband option is likely right inside your pocket as we speak. Your phone. With today’s smartphones like the Apple iPhone, Palm Treo or Blackberry, many of the Web tasks can be easily and quickly done directly from the phone. Email, SMS, IM and even Web browsing are possible with some of the latest mobile browsers. One of the best features on today’s smartphones has to be mapping tools such as Google Maps. Just as with any wireless hot spot, you are only able to get online if you are within about 150 ft of the access point. 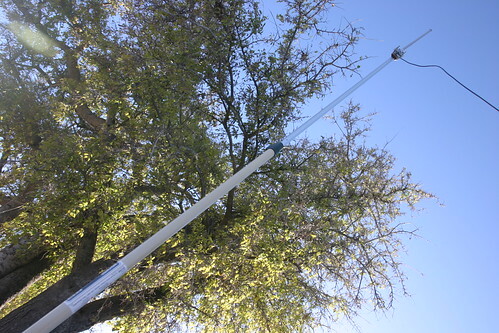 That’s if the campground has an outdoor antenna broadcasting its Internet signals. At the Shady Dell, the new owners offer free wireless Internet for all of the campers but only if you are within range. It seemed like that the access point is inside the registration office and not really designed for long range transmissions. It would only send a short 50 ft radius around the building. The Shady Dell in Bisbee is known for its collection of antique trailers that are for rent to visitors nightly. They also have a number of pull-through and back-in spaces for people like us who brought their homes with them. Unfortunately, we are not within close-enough range to get a solid wireless Internet signal. Lucky for us, I came prepared with my own ‘space needle’ wireless antenna.